All women are proud of their hair! We can be even obsessive with it - the way we subject it to daily styling routine, dozens of bottles we have for hair care! It can get crazy. That is why it is no wonder we may be shocked seeing more hair on the brush than usual. Losing hair is a nightmare for every woman. Dermatologists say, it is actually normal to lose it, because it is a good sign that new young hair is growing constantly. What if we lose much more than normal amount, see the scalp, or realize our ponytails got so much thinner? Then you have to understand the reason of it. So here is why the hair loss may be happening. Actually you may be using too many products. 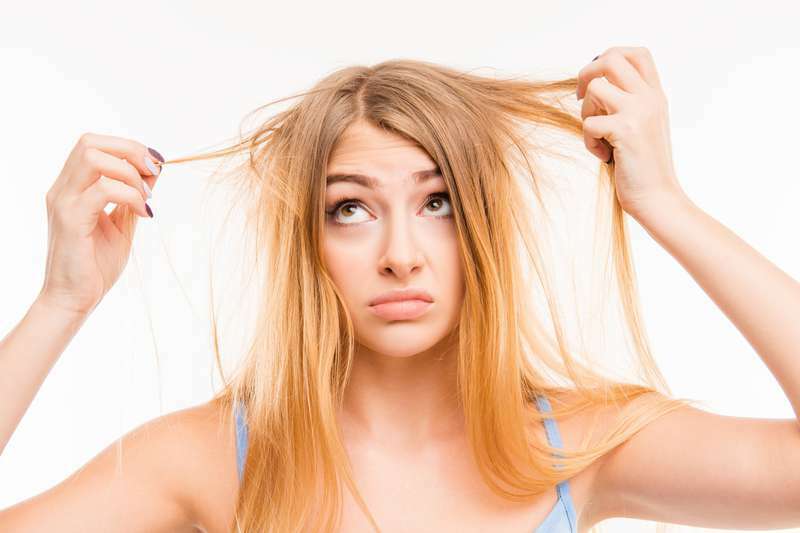 Hair may be tired from all the toxins and active chemicals we expose it to. They can damage hair follicle and create hair loss problem. If you do not let it dry naturally but use an electric dryer instead, you may harm your hair too, make it weak and lifeless. If you enjoyed your perfect hair condition during pregnancy – this is because your body produced extra estrogen, which is the hormone of growth. Though after childbirth the amount of the hormone comes back to normal and weak hair just falls off. Maybe you struggle with hair loss problem because of hormonal treatment. You may check your diet seriously if you lose extra hair. It is a sign you lack protein and Vitamin B and E, and as weird as it may sound – over intake of Vitamin C.
Anemia is an iron deficiency, and as a matter of fact, almost one in 10 women aged 20 through 49 suffers from it. 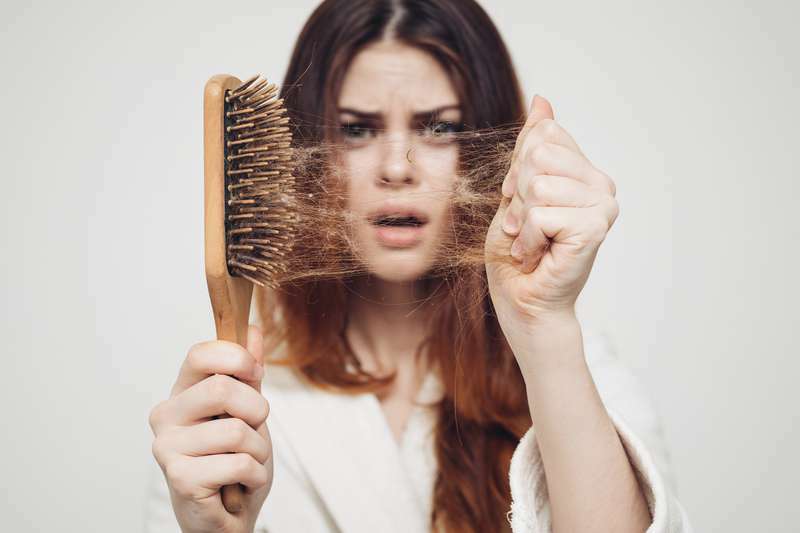 This condition is dangerous not just because of hair loss, the other symptoms of it are fatigue, headache, dizziness, pale skin, and cold hands and feet. It is not about short-termed stressful situation, but a long and chronic stressful condition. If we struggle from stress, we eat less or over-eat, experience trouble sleeping, and our body reacts immediately messing up hormonal balance. Your hair loss may be caused by skin illness. When the skin on your head feels itchy and burning, and you want to scratch it all the time, you may lose extra hair because of it. You may try to change shampoo or conditioner, and consult with dermatologist about this matter. In a case of autoimmune diseases, your own body would have a hostile reaction on your own hair follicle and treat them as enemies. So hair loss would be an action from your confused immune system, which would try to handle these enemies. Any hair loss reason can be solved, so it is important to consult with physical on time, and find a solution.